Oh Scholars, Leaders and Protesters! The ones who are responsible for a country, are its leaders and its ulama‘. Yet both these groups in Egypt have failed miserably and shamefully in their duties to their people. They bear the greatest responsibilty on the Day of Judgement, and they will receive the severest punishment for failing in their appointed tasks. Ironically, this is an Arab-speaking land, with a notable institution of Islamic study, boasting Scholars and Doctors of Islam, yet they all seem strangely muted when confronting the excesses of the government, and largely impotent in managing the hearts of the people in this emerging drama. The religious guides must be in the forefront of the people, dispensing true advice, especially in the citizens’ time of need now. Why isn’t the advice in this Verse being announced to calm the festering crowds? These verses were not directed at the animals, says Maulana, but at humans – yet the crowds are behaving like wild animals right now! Sayaatee min ba`dee khulafaun wa min ba`d al-khulafaun umarraun wa min b`ad al-umarau mulookan wa min ba`d al-mulook jabaabira. There will come after me Caliphs, and after the Caliphs will come Princes, and after the Princes, Kings, and after the Kings, will come tyrants. Why did the ulama’ not stand up and explain this vital hadees to their great nation? Why didn’t the knowledgeable Scholars stand against Abdul Nasser when he incited a revolution against King Farouk of Egypt in 1952? The King was an honoured one from East to West, his flag was green, with a cresent and stars. Why didn’t the scholars remind the citizens not to overthrow the King, for certainly, after the Kings will come tyrants? This is the fault of the learned ones who hid this truth, hence they are carrying all the faults of the Ummah. From them comes the corruption and to them it will return. After 60 years, the silence of their ulama’ has come back to haunt them. (Whenver a country deposes of its King, he will be replaced by a tyrant. That is a hadees! We must have full faith in the truth of this Prophetic advice, for the Prophet’s words were all Wahyu, heavenly revelations. Today, we are seeing every country that replaced the Monarchy with any other system of government, in turmoil. Allah has shown us, that only the Monarchy is able to govern, any other system of government, will never work in the long-run. Look at Socialism, Marxism, Communism, Capitalism, Democracy….all have their flaws, as they are sytems of government, run by the ‘feet’, whereas, a country run by a King, is run by the ‘head’. Read an earlier Suhbah, where the Children of Israel, asked Allah for a King to rule them, and give them honour. Even despite their rebellious nature, they never elected a leader, but asked the Prophet to beseech Allah for a King to rule them. Leave the Western world to govern as it likes, but Islamic countries and believers must abide by the teachings of the Holy Quran. Where in the Holy Quran, was democracy ever touted as a way to govern the masses? It is a great sin that you bear, for keeping mum all these years, and even now when you are most needed, you are silent, oh Scholars. Rasulullah (saw) said, “One who keeps mum when corruption is rife, is a dumb devil, and will be punished most severely by Allah.” We are always in need of doctors, but especially so when we are ill. Now that the nation of Egypt is bleeding and gravely ill, it is shocking that the bevy of Scholars there, has yet to dispense guiding advice to the suffering Ummah. Didn’t Rasulullah say, “Religion is advice.” So advise your citizens, guide them out of this turmoil! Those who lead bear the biggest sins and burdens in the hereafter are the Leaders, for they did not look after the rights of the believers, and they did not care for the poor and weak ones from amongst their Community. Allah gave them power, to protect the weak ones, not oppress them and to plunder their nation’s coffers! Allah commands justice and kindness! Arab leaders themselves hear this commandment every Friday, in their own language, yet they take no need of this Divine admonition. What a pity, Maulana says, that they do not heed the Commandments of Allah. Have you no pity, Maulana asks? You have enriched your own families, yet you leave so many of your citizens poor and hungry, scavaging the streets in this bitter winter, scouring and foraging for food, like wild animals. For many of them, what they earn or find in that day, is all that they have. Have you no pity for those under your care, oh leaders? Where is the justice that Allah has commanded? Because you ignored the rights of people, you awaken this fitna’ upon youself, for there is a hadees that says, “Fitna’ is asleep, whomever awakens it, is cursed.” Now that the limit has been crossed, even if the armies of the whole world decended on the protestors, it would not extinguish their flame, for Allah is with the weak ones! The leaders have ruled tyrannically, and they will never be afforded a second chance to hold onto power, and once exiled, they cannot even come back to the countries they used to rule, not even as a road sweeper! See how Allah humiliates one who toys with Divine Law. Allah curses the rulers who are unjust, as He has decreed, “Harramtu zholamtu ‘ala nafsi” – “I have forbidden injustice upon Myself.” And so we must never be unjust amongst ourselves – we are all from the family of Adam and Hawa. (Sayyidina Umar (ra), the second Khalifa said, “If a camel slips and breaks its leg on the banks of the Nile, it will testify against me on Judgement Day!” Look at how responsible a true Muslim leader is, he is always fulfilling the rights of those under his rule, even the rights of animals and plants. Sayyidina Abu Bakr (ra) used to return any savings that his wife made on their meagre salary, back to the Baitul Mal – they lived frugal, simple lives. Compare that to today’s tyrants, who care only to enrich themselves, their families, their cronies and supporters, and live in the lap of luxury and opulence. The reforms proposed now by the leader, are a case of too-little, too-late. A hadees says that a leader is a servant to his people. You had thirty years to serve your people, and in that thirty years, what have you done for them, Maulana asks? Egypt is a rich country, Allah has blessed it with the River Nile, a miraculous river that flows from Jannah (Paradise) bringing blessings and wealth to Egypt. Yet, after three decades of your rule, the country is bursting at the seams with poor and hungry people! Why has the leader allowed corruption, cronyism, nepotism and depotism to bleed the country dry? At the expense of the masses, a few corrupt ones plunder the entire nation’s wealth. Return the rights of those you have exploited, that is a hadees from Rasulullah (saw). Maulana says, if indeed the leader had been just and kind to his people for the past many decades, would we see a furious mob at his doorstep now chanting slogans and demanding his immediate departure? Oh Leaders, none of your actions passes unnoticed – every one of Allah’s servants whose rights you have ursurped, whose portion you have witheld, whose hearts you have pained – all that is recorded in the heavens for all to see, and it shall be written upon you on Judgement Day. Even the tiniest of deeds will be unearthed and repaid! In this month of Safar, the Holy orders descending are for every dictator, no matter where they rule, to be removed, until not even one remains standing. Allah will erase the existence of tyrants from the Muslim world, this is a Divine order. Are you willing to kill thousands, so that just one person can continue to sit on that seat of power? Does that make sense? Is that justice? Do not say, “I have a powerful Army to protect me, I will not fall.” Allah is Muqollibal Qulubi wal Absyar, the One Who Changes (Turns) Hearts and Eyes. Perhaps He will change the hearts of the Army soldiers, to turn on you and depose you, for Allah hold all hearts in His Hands. 2) If you must go out…. Only the menfolk are allowed to be outdoors, all women must remain indoors away from the lynching mobs. It is best, however, not to go out at all, even for the menfolk. Maulana also advises them to avoid all evil behavior – burning, looting, beatings. Do not follow shaitan! If any one of you asks for permission three times and it is not given, then let him go away. So one is not allowed to enter any home, even if it is vacant or abandoned, if there is no invitation to enter. Entering without permission is forbidden; stealing & looting is also obviously forbidden. Maulana asks, why are you doing all these violent acts? Is it just because you are angry with one man? Is it just because you want to defeat him? MasyaAllah, if you had protested this vehemently, because you are angry with the shaitans and their evil influence, and that you wished to throw them out of your lives, Allah would have sent you a formidable Army unseen, and He would have raised you to such honour. If only you were protesting about the moral decay and loss of Islamic Shariah in your lives. Instead, you are battling your Leader, by stooping to such low acts of satanic behaviour, bringing shame upon yourselves! You are simply angry with one man, and you blame him for what has befallen you, and you mistakenly believe that by removing him, your problems will be solved. Maulana asks, have you no other means to seek Allah’s help? Instead of demonstrating, you should be in mosques, making prayers, Zikrullah and doas. Help from Allah does not come when you are combating evil, by evil means. Do not blame your woes on one man. He is as helpless as you are. Blame yourselves, what befalls you is the doing of your own hands. Maulana reminds all, that what has been decreed will come to pass. Complaining, grumbling, protesting or shouting like wild animals, will not change His Will and His Divine Decree. Be silent, Maulana advises, and submit to His Divine Plan. Man is a creature created with honour, but look how we are like animals now, howling and scuffling in the streets today. What is left of Islam is just in name, the true submission and piety in the hearts, is no more. What a crying shame. You are calling for democracy? Does that word exist in the Holy Book? You should be calling for a return to piety, a return to Shariah! Democracy is the mother of all injustice, whoever shuns the Shariah, Allah’s Anger is upon them. If you becoming fearful for your safety, stay in your homes, perform two raka’atas (genuflections) of solat (prayer), sit on your prayer mat and seek His help until an opening comes to you, then recite, “Robbunallah, Hasbunallah, we are Your weak poor servants, oh our Lord. Anta robbuna, anta Hasbuna, free us, oh our Lord, from the oppressors, You have forbidden injustice upon Yourself, for You have said in a Hadeess Qudsi, “I forbade injustice for Myself,” so do not leave us in the hands of the unjust. La hawla wa la quwwata illa billa hil ‘aliyyil adzheem. For the sake of your beloved Prophet (saw), free us from the hands of these tyrants, oh Allah!” Allah will place fear in the hearts of the oppressors, and come morning, no trace of them will be seen ever again. 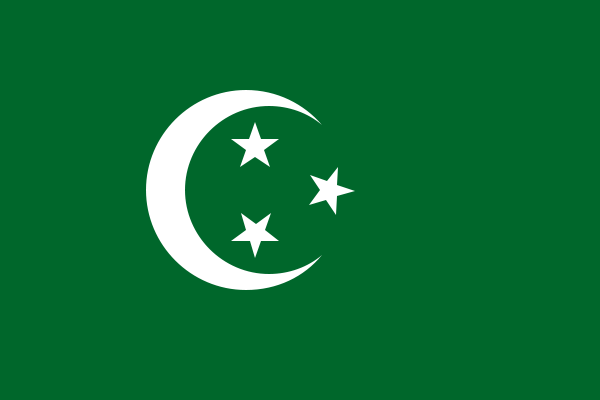 Put down your placards, and raise the original flag of the Kingdom of Islamic Egypt (the green flag used by King Farouk before 1952), and the protection of Allah will descend upon you, and save you. Egyptians will be in peace and safety as long as they heed advice from their Lord. If they are obedient to Allah, Allah will change the situation in Egypt in an hour, without the need for tanks, bombs or fighter jets. They will not fear even a thousand Mubaraks, or a thousand tanks. Believers have no fear for such a show of strength, they fear only Allah. An authorised Saint can return the missiles fired, to the one who launched them, in an instant – such is the power given by Allah to the Saints! Maulana says that Saints hold a power that can consume everything. Unbelievers and Westerners feel so much of their power is in their technology and destructive missiles, that they have become arrogant, condescending and dictatorial in their dealings with ‘weaker’ counties as a result. Yet all of what they are proud about, and what they depend upon, can be rendered useless and powerless, by just a single Jinn sent to remove the lethal warheads from the missiles. One Jinn (no need for an army of them) is already enough – yet they are brimming with arrogance and schemes. The Verses above quoted by Maulana, prove that the Quran contains miraculously relevant teachings for all times and eras, so accept and respect the eternal wisdom of the living teachings of the Quran. Remember, whoever disobeys the Quran, will be punished! (Maulana repeated this three times, and Rasulullah used to do it whenever he wanted to emphasize a very important point to the Companions). This Summary was compiled from a number of Suhbahs on the same issue. 1) ‘Your Houses 29 Jan 2011’, 13 minutes 2) ‘Egypt’s Throne 29 Jan 2011’, 24 minutes. 3) ‘Back to Allah, 1 Feb’, 42 minutes 4) ‘The Way Out, 31 Jan’, 5 minutes. 5)‘ Jumaah Suhbah A Warning to All Tyrants & to Moubarak, 4 Feb, 43 minutes. These Suhbahs in Arabic can be viewed only at www.Saltanat.org, There is a CC button next to the Volume control at the bottom of the screen to choose choose subtitles in eleven languages, choose from Arabic, Bahasa Indonesia/Melayu, German, English, Spanish, Italian, Russian, Mandarin, Dutch, Italian and Turkish. Click the AD button at the top right-hand corner of the display area, for a live translation into English. During Live Suhbahs, the buttons at the top provide Live Audio Translations into other languages as well. Should the video no longer be there, please look for it under the video archives of the Saltanat TV site. This entry was posted in Maulana Shaykh Nazim's Suhbahs and tagged ant, Egypt, King Farouk, tyrant, tyrants. Bookmark the permalink. MasyaAllah, may Allah grant you help and guidance, and may your truly find you way in this world and the hereafter. Ameen. Keep us at the SufiHub Team in your prayers, and do let us know if you can help us in any way, to spread the teachings of Maulana. I have read the message from Maulana and been moved to tears by the profound wisdom of it. I am from the West, and not a Muslim, yet I subscribe to his analysis of authority: it should not come from the feet, but from the head. And I do believe in the necessity to avoid committing sinful acts by fighting violence with violence. But what if the head fails the feet, master? If prayer and meditation are holy actions, isn’t rightful rebellion against injustice, also holy? Not for long, but for some limited time, long enough for the minds and souls to start hoping and working again? I may be wrong in the interpretation of your words, but what I understood – and most admired – was that if each of us individuals sets about being humble, open to God’s word, and solely focused on Him, and if we worship, pray, strive to understand His teaching, then things (the material world) will just follow and arrange themselves according to His will. Our actions are not needed, only our faith. This, I must say, is conform to my deepest belief. Yet, I have to confess that, if it hadn’t been for my admiration and compassion for the crowds now demonstrating in Egypt, I wouldn’t have discovered this message of yours, nor realized how deep the wisdom of the Great Doctors of Islam is. I bow to you in deepest reverence.